The Rev. Cody J. Sanders received a 2014 Dissertation Fellowship for his project RE-VISIONING THE CARE OF SOULS: THE PRAXIS OF PASTORAL CARE IN THE CONTEXT OF LGBTQ SUICIDE. Cody shares about his dissertation and how that work is shaping his pastoral ministry. LI: Cody, tell us about yourself and your current work. CS: In August, I moved to Boston (MA) to become the pastor of the Old Cambridge Baptist Church in Harvard Square. OCBC has a long legacy of peace and justice activism and was the first Baptist congregation in the U.S. to become openly welcoming and affirming of gay and lesbian people in 1983. So a great deal of my current work involves the continued cultivation of a community that is responding in new ways to an historic call toward the work of peace and justice. I’m also preparing to teach a spring course in LGBTQ pastoral care at Andover Newton Theological School and I continue to work on my pastoral theological scholarship. Currently I’m writing a book on ministry with LGBTQ youth, under contract with Westminster John Knox. LI: What was the core question or concern that guided your dissertation research? CS: I was concerned about the prevalence of suicide attempts among LGBTQ people and the ways religious and theological narratives were treated simplistically in the social scientific literature on the subject. I proposed that the metaphor of “soul” could differently enable pastoral theological research into the experience of “subjective precarity” that is engendered in some LGBTQ persons leading to suicide. In my interviews with LGBTQ people who had attempted suicide and survived, I asked questions that helped me to understand the ways religious and spiritual narratives and theological symbols and metaphors became constitutive of “a perceived core sense of self” for them—both leading up to suicide attempt and in the aftermath. I discovered extraordinary stories of pain and spiritual violence, as well as narratives of individuals who became brave, creative theologians in their own right by recovering helpful aspects of their religious experience and commitments in order to counter the harm perpetrated against them. LI: How has your dissertation research impacted your current ministry at OCBC? CS: Much of my current work is informed by the ways I now better understand religious and theological narratives as constitutive of our deepest sense of who we are as human beings and how our subjectivities are co-constructed in discourse within community. This helps me see the ways ritual, liturgy, and religious speech can shape lived human realities with the potential for cultivating wellbeing as well as perpetrating violence. CS: I wrote this book with my Baptist colleague, Angela Yarber, to help churches deal with the everyday slights, insults, and injurious communications based on race, gender, sexual orientation and gender identity that are perpetrated unintentionally and often go unnoticed in our faith communities and institutes of theological education. 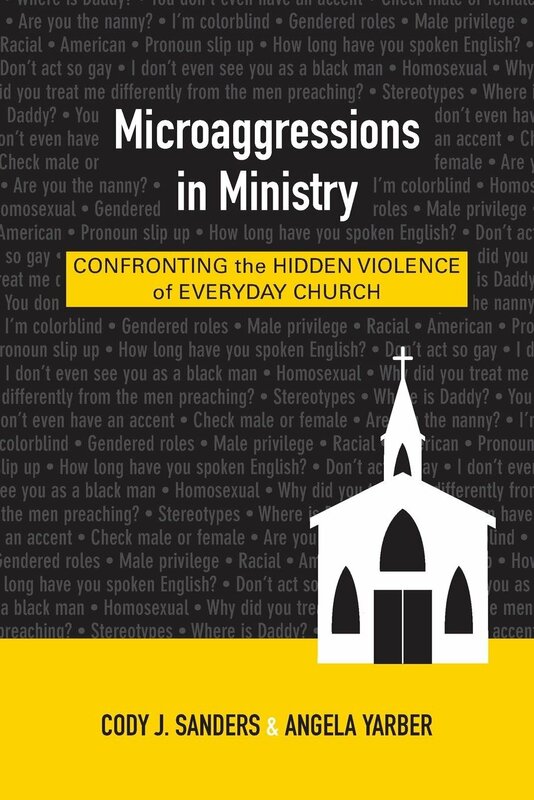 After developing a theological understanding of the social scientific concept of “microaggressions,” the book provides useful tools for dealing with these within the contexts of preaching and education; worship and spirituality; and pastoral care and counseling. We hope this book will help church leaders and churchgoers begin talking about the presence of microaggressions in all faith communities, including institutions of theological education as well as local congregations.